Hungarian-American aerodynamicist, immensely influential, director of the Guggenheim Aeronautical Laboratory at Caltech from 1930, where he trained a generation of engineers in theoretical aerodynamics and fluid dynamics. Born: 1881. Died: 1963-01-01. Birth Place: Jewish. Theodore von Karman was a Hungarian aerodynamicist who founded an Aeronautical Institute at Aachen before World War I and made a world-class reputation in aeronautics through the 1920s. In 1930 Robert A. Millikan and his associates at the California Institute of Technology lured von K�rm�n from Aachen to become the director of the Guggenheim Aeronautical Laboratory at Caltech (GALCIT). There he trained a generation of engineers in theoretical aerodynamics and fluid dynamics. With its eminence in physics, physical chemistry, and astrophysics as well as aeronautics, it proved to be an almost ideal site for the early development of U.S. ballistic rocketry. Country: Hungary, USA. Bibliography: 535, 6164. 1936 September 1 - . Tsien Hsue-shen enters CalTech - . Nation: China. Related Persons: Goddard, Tsien, von Karman. Program: Long March. Tsien Hsue-shen, at the urging of Theodore von Karman, begins graduate studies at the California Institute of Technology. He will continue there for nearly twenty years, first as a student, finally as the Goddard Professor, becoming one of the leading rocket scientists in the United States. Death of Theodore von Karman. - . 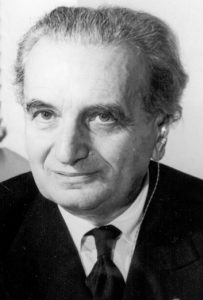 Related Persons: von Karman. Hungarian-American aerodynamicist, immensely influential, director of the Guggenheim Aeronautical Laboratory at Caltech from 1930, where he trained a generation of engineers in theoretical aerodynamics and fluid dynamics..